As a small, independent business, we are absolutely thrilled and humbled to receive this distinction for the second year running. We are sincerely grateful for you — for voting online AGAIN this year and continuing to vote with your loyal patronage all year long. Thank you!!! What a way to rock our 25th year with The Backyard Naturalist!!!! YES!!! You are seeing double. We won! Thank you for voting us ‘Best Gift Shop’ second year in a row. 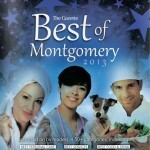 See all 2013 Best Of Montgomery winners here on The Gazette website. Those of you who’ve shopped with us over the years, know that not only is The Backyard Naturalist a great gift shop, but 25 years later we have never lost sight of our main mission: To educate, excite and connect you with the natural world in your own backyard. A big, big thanks to our customers who came into the shop this past Saturday in support of Small Business Saturday 2013. We can’t even begin to tell you how much this means to us. And to those very special customers who came in on Black Friday and told us they wanted to beat the Saturday crowd… what can we say… You are the BEST!!! We promise to keep working hard to deserve your loyalty. This holiday season, we’ve gone the extra mile to make sure we have the area’s best gift selection. We found some treasures for you, both near and far! Even our classic favorites have been kicked up a notch! You can see many more on our website. Redskins, Ravens, Capitals and Nationals!!! We have officially licensed flags, mini-flags, doormats and tree faces. Lots of variety in every price range. These are just a few of the new items we’re really excited about. We want to make sure you not only find that special gift for a beloved someone, but also complete your shopping list from A-to-Z! 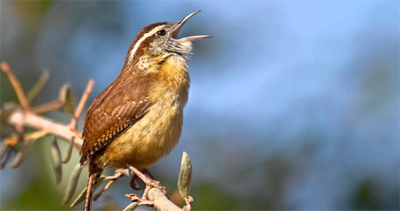 The Backyard Naturalist has great stocking stuffers for kids, teenagers and grownups… And within every price range, too. Our hearts are full when we can help kids–shopping with their limited allowances–find a gift for their parents or siblings that makes them proud and excited. We sincerely want you to enjoy a more stress-free holiday shopping experience this year. Please visit us for some old-fashioned customer service, convenient free parking and extended shopping hours. We’re right here in your neighborhood and glad to help. Happy Holidays!!! Stop by and see what’s new! Check out all the winners of 2013.